This highly maneuverable Hawk 15 inch floor burnisher is well suited when you are working with limited space. The heavy duty, welded frame ensures for years of use. It’s equipped with a 1.5 HP DC rectified motor, 5” non-marking ball bearing wheels and a wraparound bumper that can easily be removed without the use of tools. Manufacture in the U.S.A., this Hawk machine comes with an industry leading 3 year warranty on the power train and on parts. The wheels help drive this burnisher along in a straight line as your polishing. This well built machine is easy to use and can be adjusted to be comfortable for any sized operator. 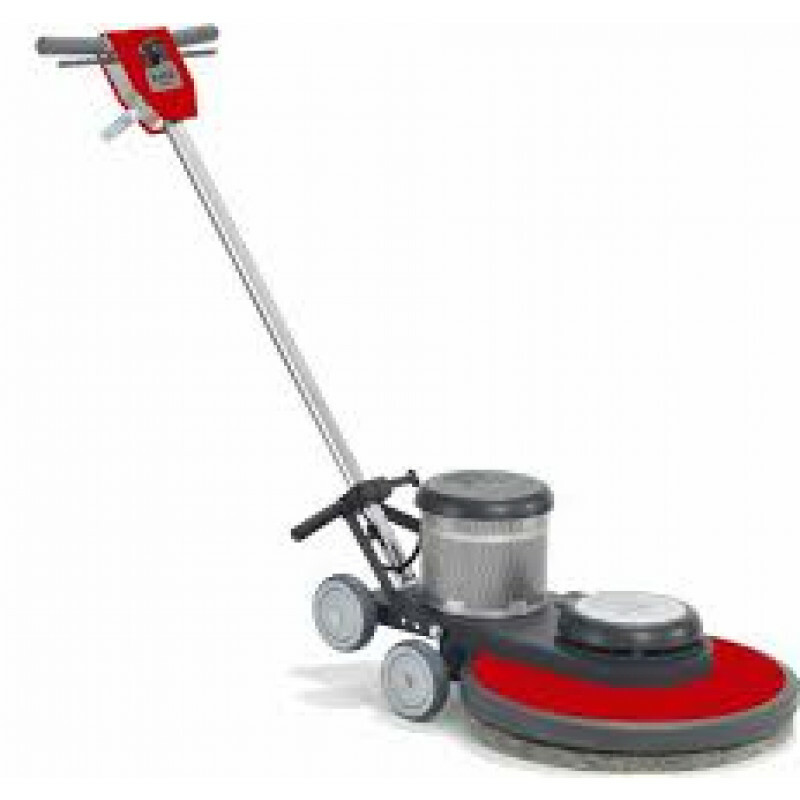 For more options, please take a look at our complete line of electric floor burnishers. If you like the features of this specialty burnisher but are looking for a different size, we also carry the Hawk 13" burnisher and the Hawk 17" burnisher. Variable position, positive lock handle for user comfort and safety. 3 years on power train & parts.